August MIX pack didn’t only includes two tasty versions of tonkotsu ramen, but also has some sweet and sour fizzy snacks that claim to give you extra boosts of energy. 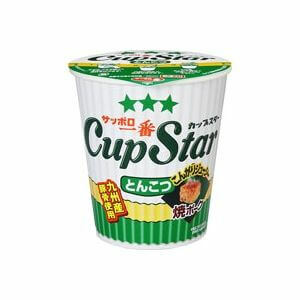 To begin weith, this is Cap Star - Tonkotsu Ramen from Sanyo foods. Tonkotsu is a rich flavorful type of ramen, and this is a straight standard version for you to try. And this Spicy Shio Tonkotsu Ramen is another type of Tonkotsu ramen. 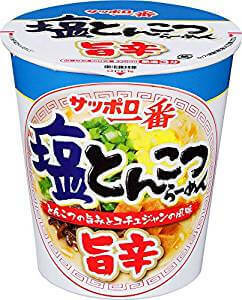 Enjoy the fusion of two popular kinds of ramen soup; shio (salt) and tonkotsu (pork bone). Plus, you can add spicy deliciousness of gochujang. 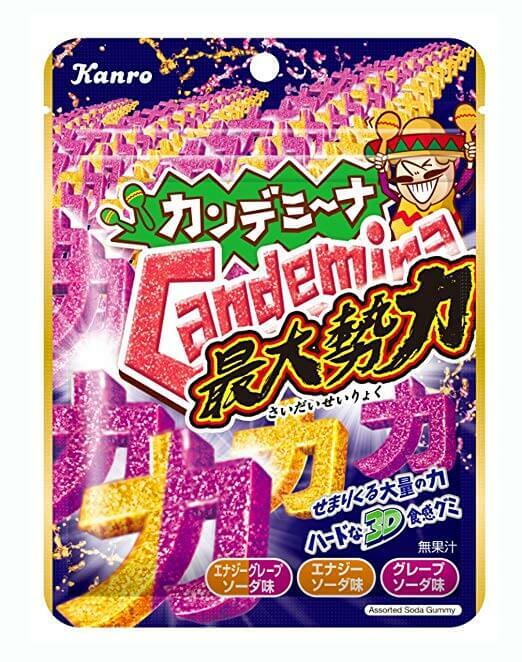 Look at the shape of Candemina Gummies ~Maximum Power~. The kanji character means POWER! Eat the “power-shaped” candies and boost your energy up to the maximum level. If you believe that it gives you a power, it really gives you the effect. 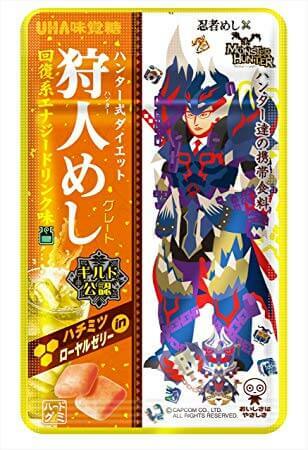 Hunters’ Food Energy Recovery Drink Flavor features the popular game, “Monster Hunter: World” The hard gummy candies made with honey and royal jelly will recover your exhausted body after hunting or any other tough jobs. 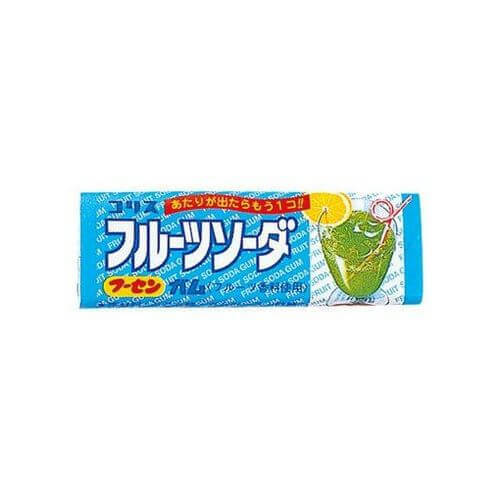 Fruits Soda Gum are always nice to keep and bring in your bag, especially in the hot season when you want something refreshing! Try blowing the biggest bubble ever made. Puccho is a popular candy brand in Japan. 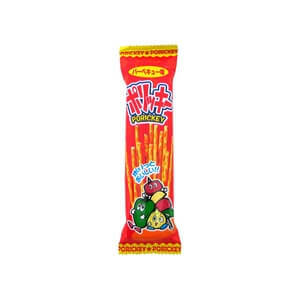 This is a cola flavored Puccho that contains crunchy candies and cool candy paste, which give it fizzy mouth feeling like real cola drink. 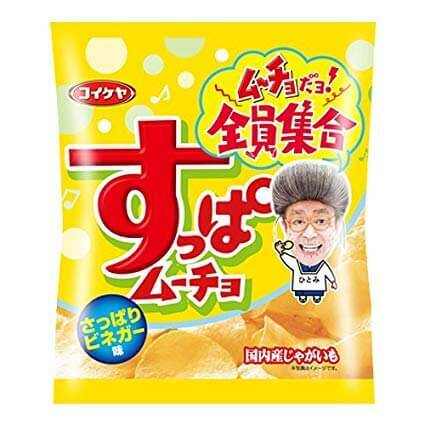 When you first open the bag of Suppamucho Chips Fresh Vinegar Flavor, the tangy flavor might make you a little afraid of keep going, but once you start munching on the chips, the sourness, sweetness and saltiness will keep your taste buds excited. LIFEGUARD is not a mere energy drink. It’s a “bionic” drink that supports survival life of modern people. But survivors need a LIFEGUARD soft candy too, and here is it. 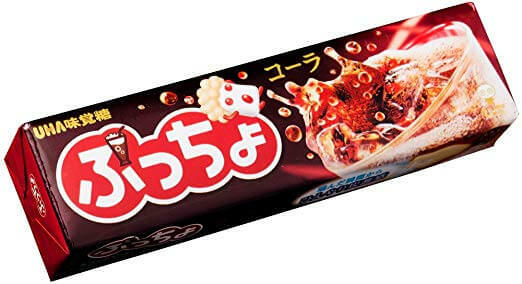 The bar-shaped soft candy is easy and convenient even for the busiest people. 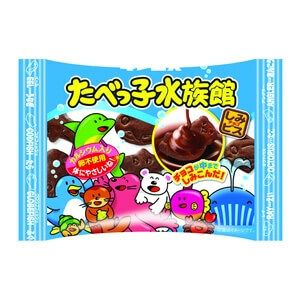 Enjoy the crunchy chocolate cookies in the shape of marine animals with Tabe-ko Aquarium. It’s fish for people who’d rather eat chocolate! These may be kids’ snack but the taste is for anyone who likes a delicious chocolatey crunch. Have you met the lost lost cousin of Pocky, Porickey? These savory pretzel dagashi snacks have a delicious flavor of vegetable and savory BBQ. Hope you enjoyed August “Power Up” mix pack! !